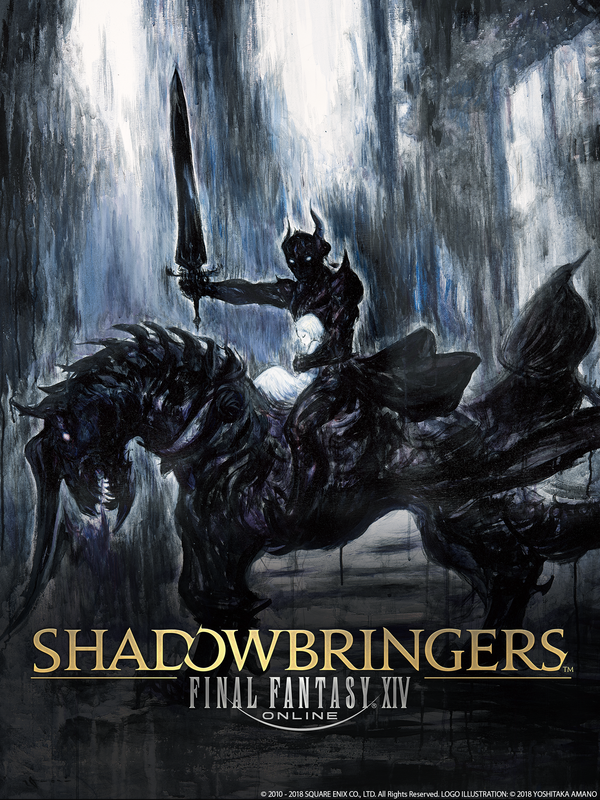 Final Fantasy XIV: Shadowbringers has been announced! 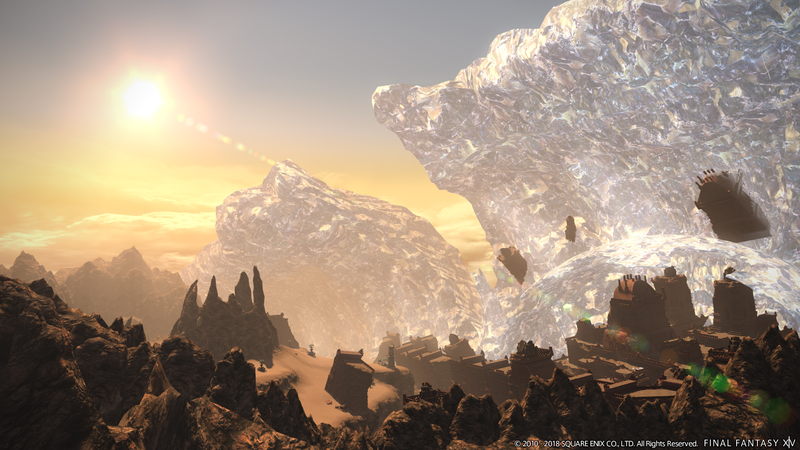 New features and content are on the way and we’ll be updating this post, making it the best source for everything that’s coming in Final Fantasy XIV’s next expansion. 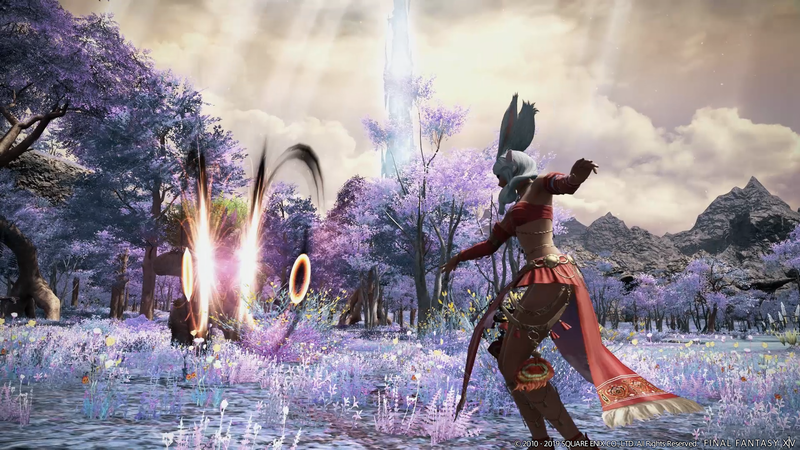 The full trailer for Final Fantasy XIV: Shadowbringers was revealed during the Tokyo Fan Festival. That trailer can be seen below. 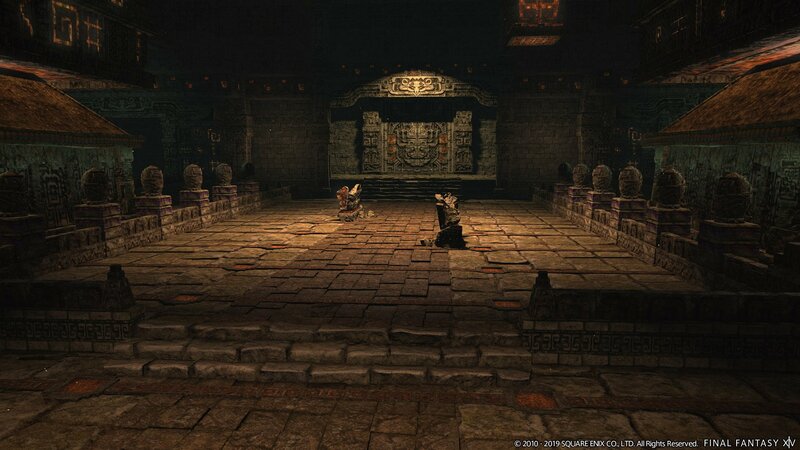 What awaits the liberator? 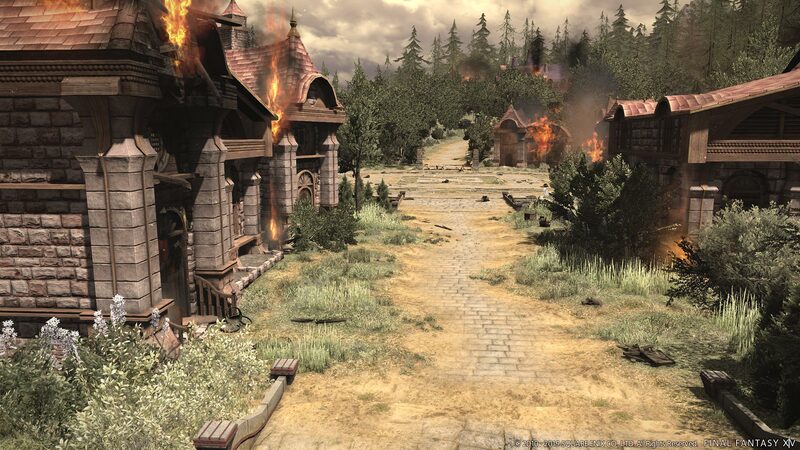 Tension grips the land as six nations now stand allied against the imperial armies of Garlemald. 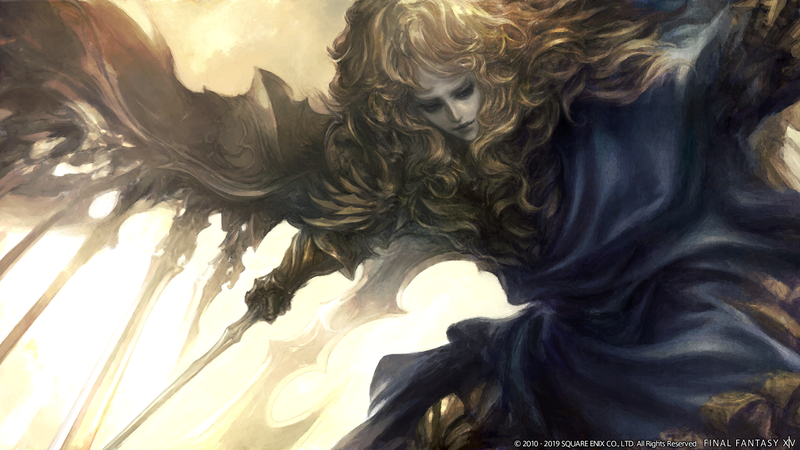 With the threat of war on the horizon, the Warrior of Light comes face-to-face with an old enemy seemingly risen from the ashes—Zenos. 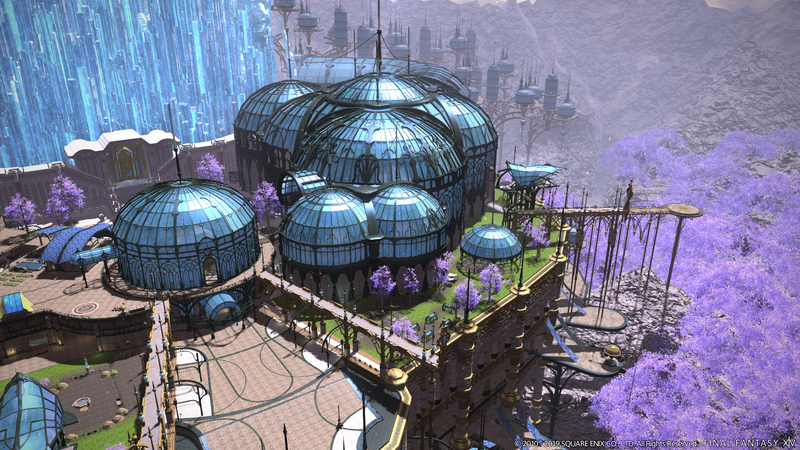 Could this impending conflict serve as a catalyst for an eighth and final Umbral era?! 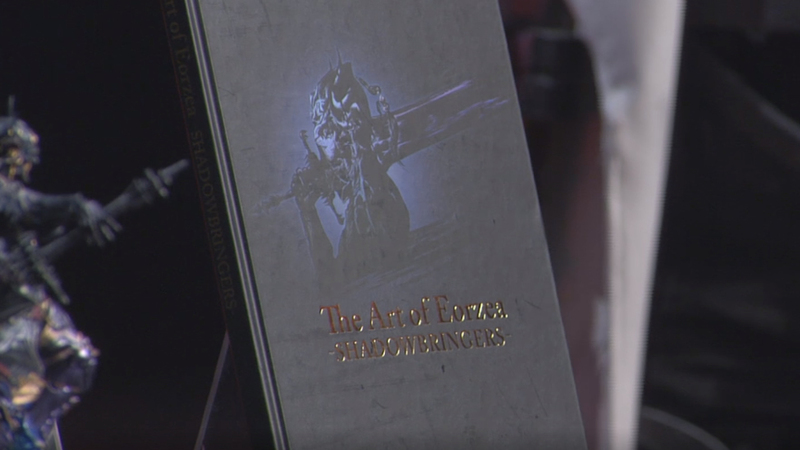 The First Emperor: Solus Zos Galvus, and Elidibus: An Ascian with the face of Zenos. 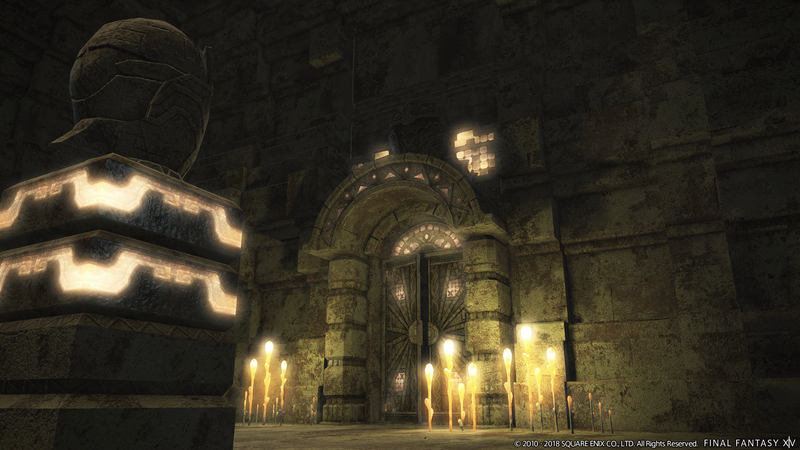 The struggle against the Ascians will come to a head in 5.0, along with finding out what Hydaelyn and Zodiark are. 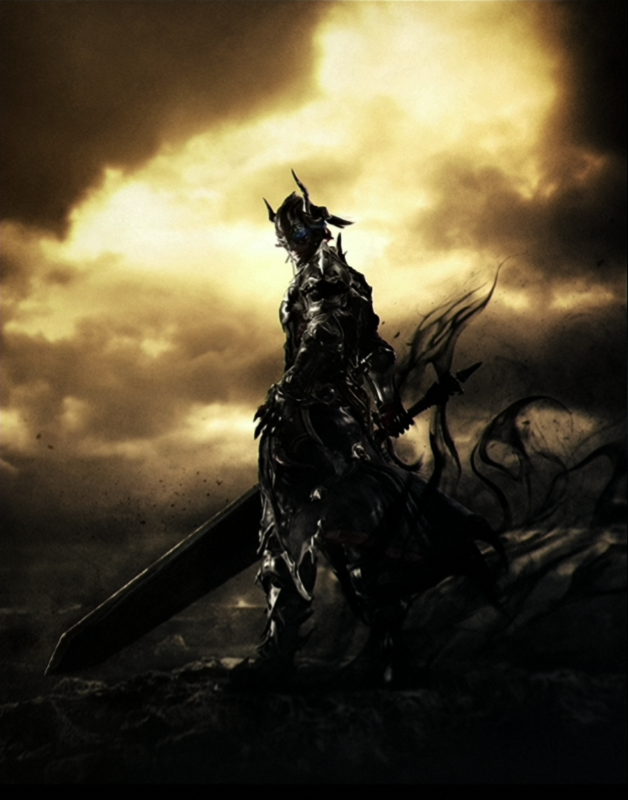 The Warrior of Light must become the Warrior of Darkness! 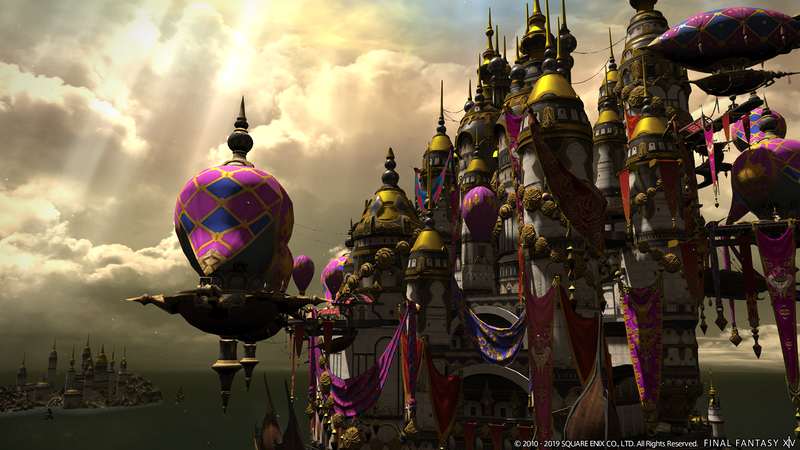 Additionally, during the Tokyo Fan Festival, it was revealed that we’ll soon be traveling to The First. 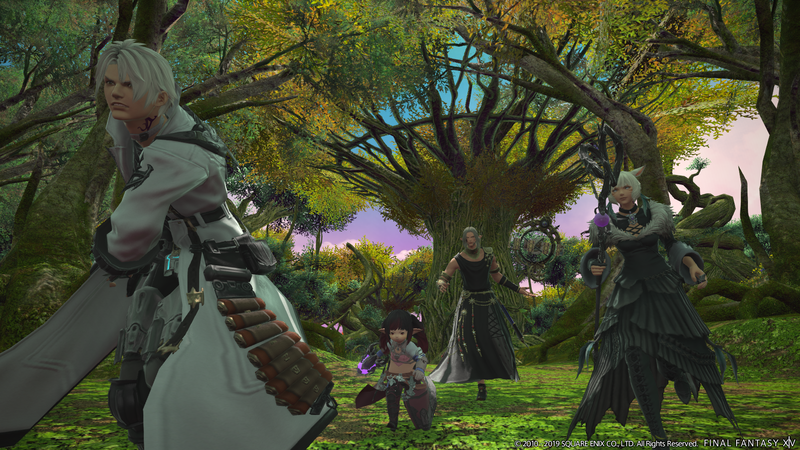 With this, Final Fantasy XIV Producer and Director Naoki Yoshida gives us what is likely another large story point for the expansion: What has beckoned the Warrior of Light to The First and what will become of the conflict between the Garlean Empire in his absence? 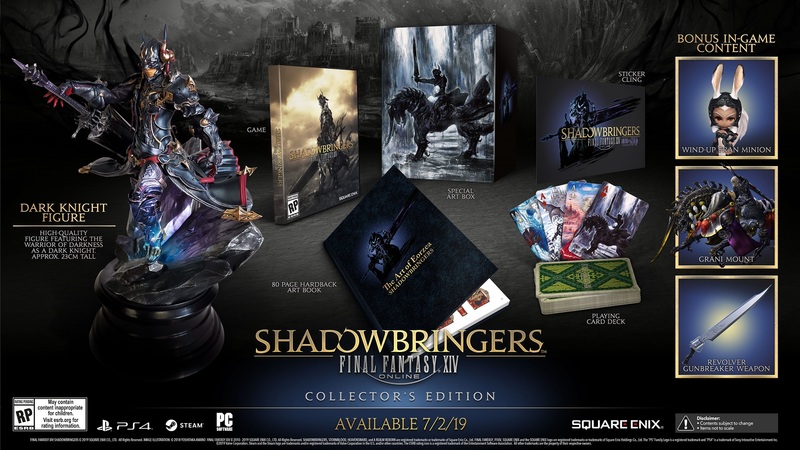 Those that pre-order Final Fantasy XIV: Shadowbringers will also receive two items as a pre-order bonus: The Gremlin Minion, and the Aetheryte Earring. 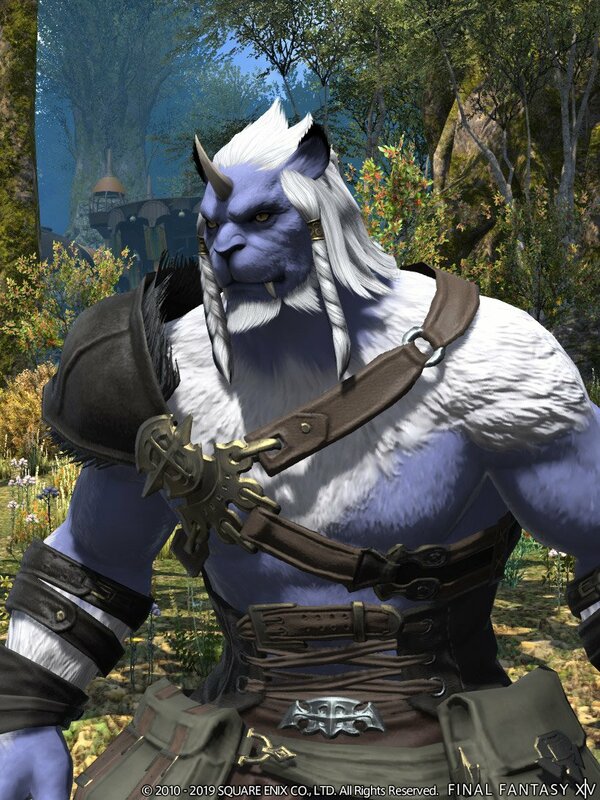 The Aetheryte Earring will have stats that scale according to the player’s level, and will increase their experience points gained before level 70. These two items are available now. 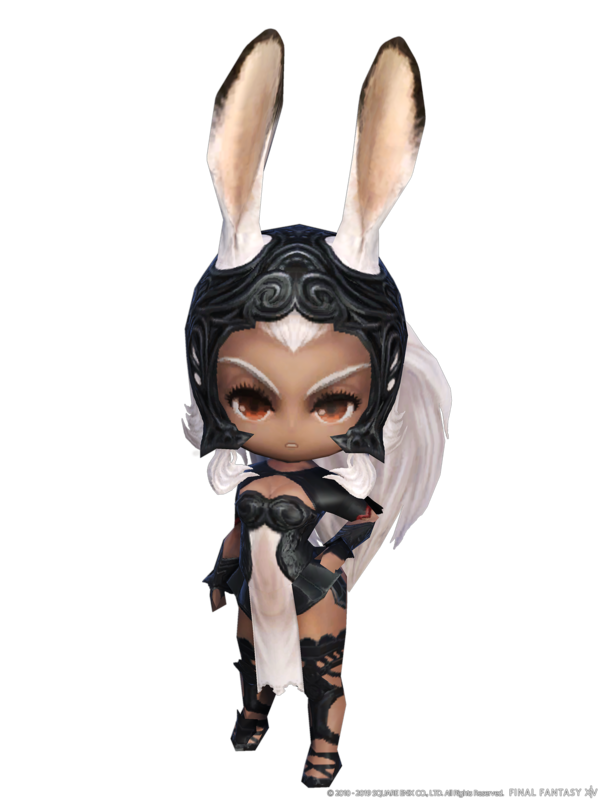 After the long anticipated wait, Viera has been confirmed for Final Fantasy XIV: Shadowbringers. 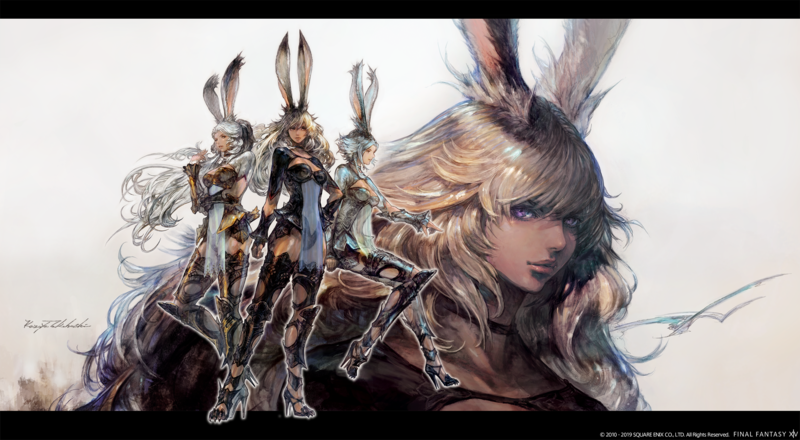 We know that male Viera exist thanks to the quest dialogue during the Return to Ivalice series, however Viera will be a female only race. 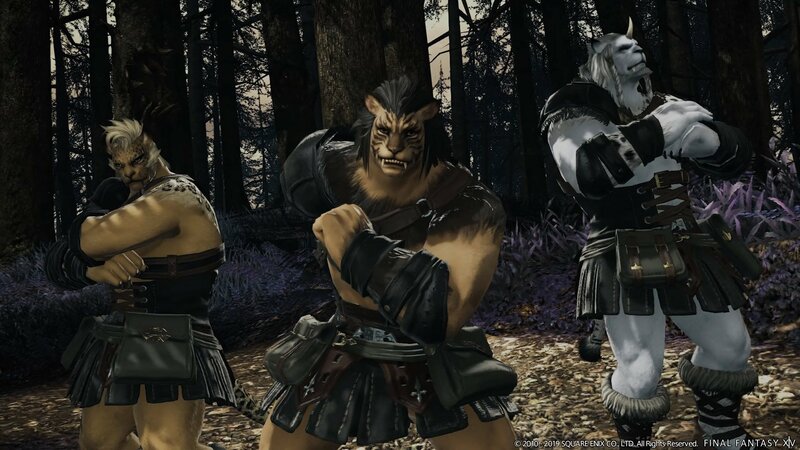 Announced at the Tokyo Fan Festival, the Hrothgar will be a male only race meant to compliment the female only Viera. 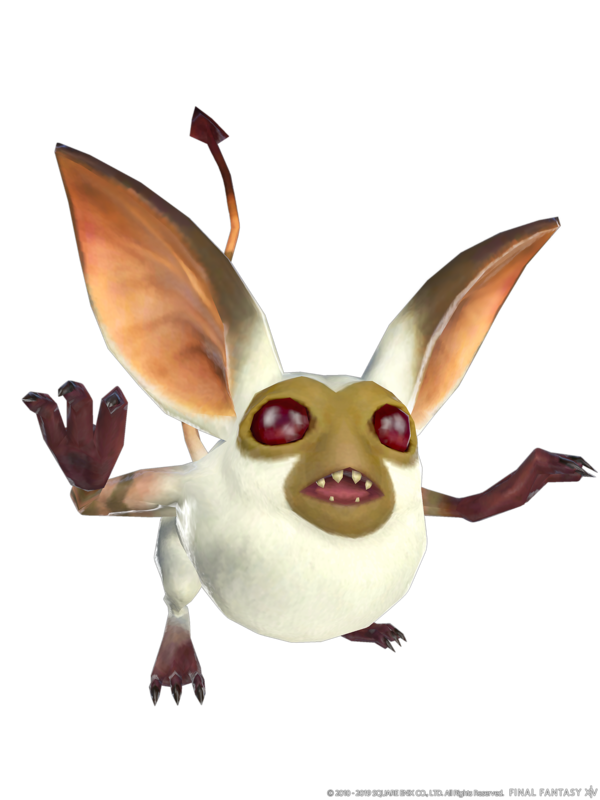 This race was accidentally leaked due to a bug from a recent patch. 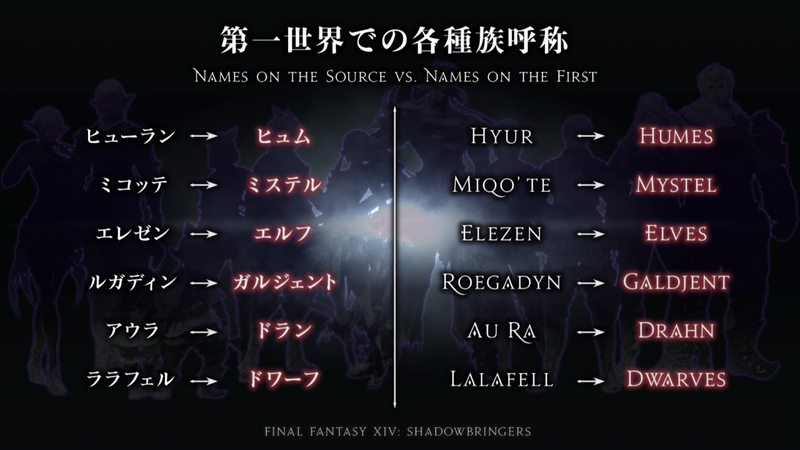 The names of the races differ between our world, The Source, and the world of The First that we’ll be visiting in Final Fantasy XIV: Shadowbringers. 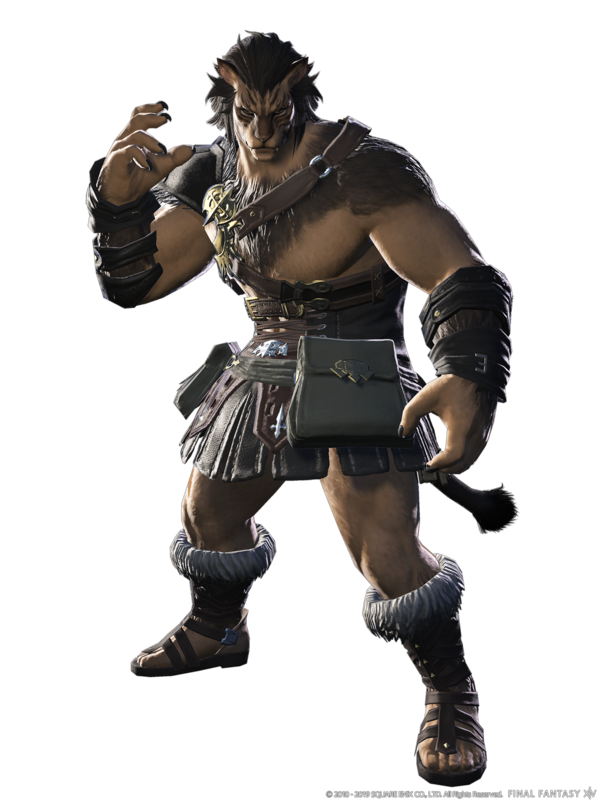 Not listed on the slide- the Viera are known as Viis, and the Hrothgar are known as Ronso. 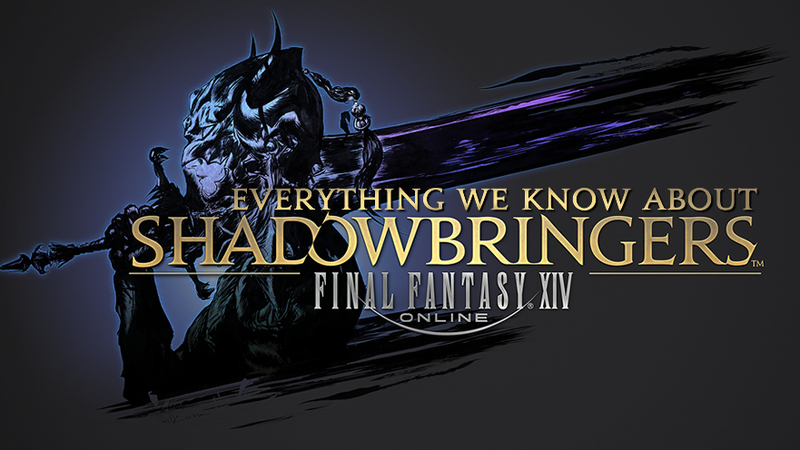 The level cap of Final Fantasy XIV: Shadowbringers will be level 80. 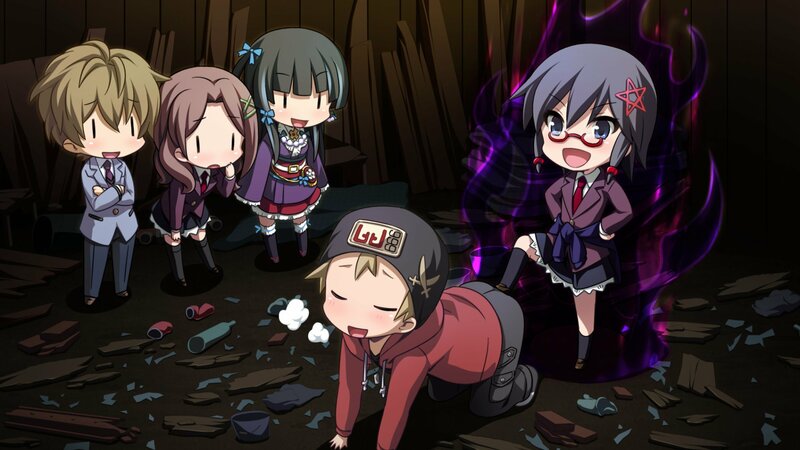 Additionally, there will be large changes to the battle system for every job, and TP will be removed across the board, leaving every job with HP, and MP. 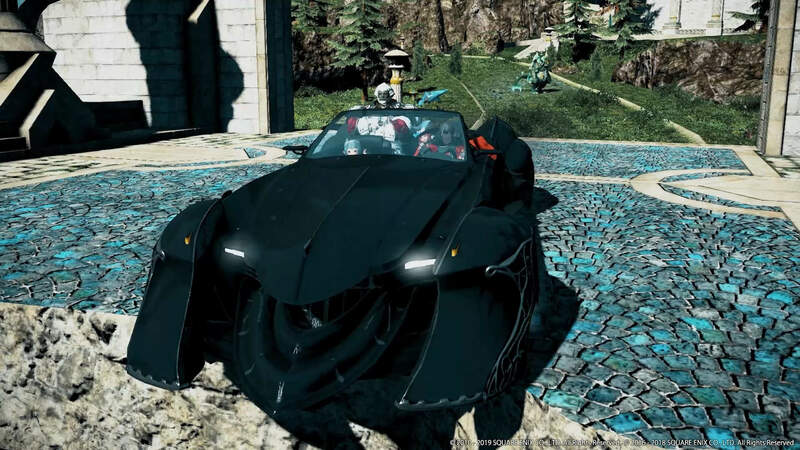 It’s also been mentioned that they’re going to have a visual representation of how much damage prevention a healing barrier has left. 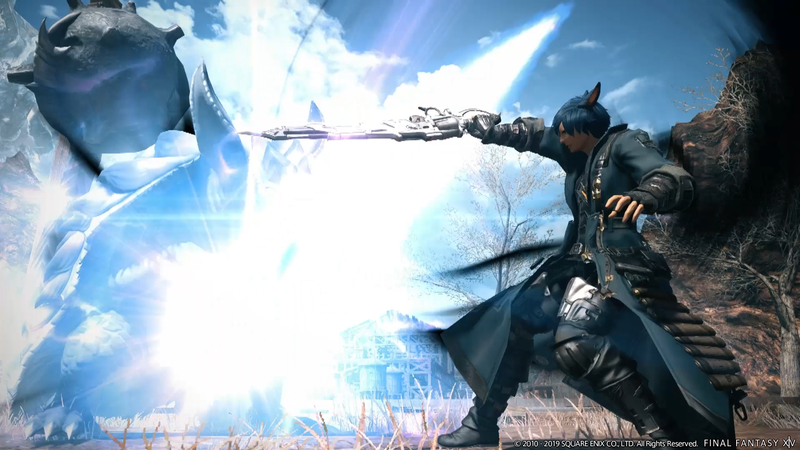 There will be “multiple new jobs” coming with Final Fantasy XIV: Shadowbringers. 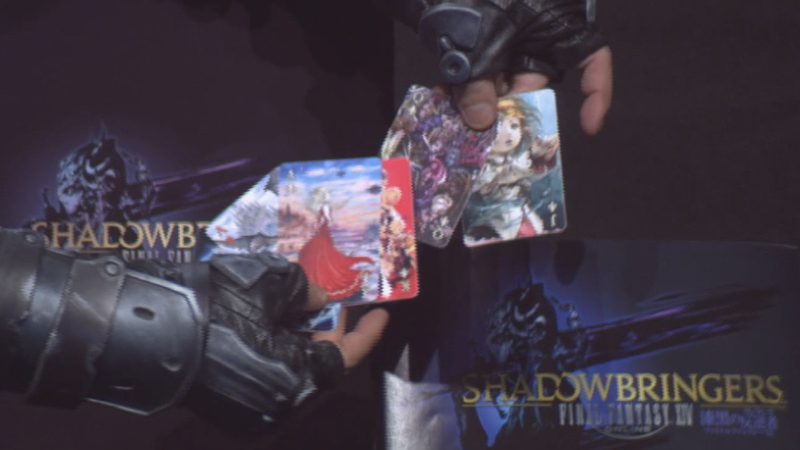 The first of these jobs was announced during the Paris Fan Festival in February. 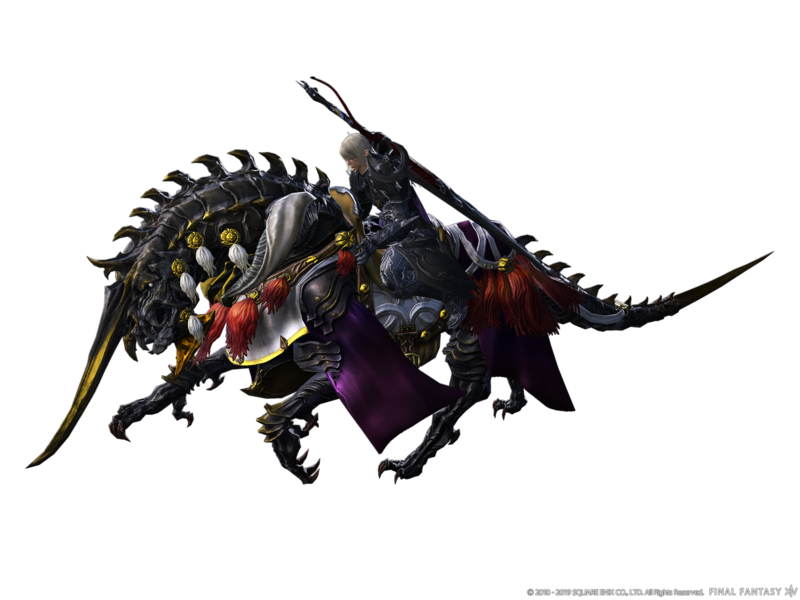 Unfortunately, Producer and Director Naoki Yoshida didn’t drop any hints at what the second job will be. We’ll just have to wait for the Tokyo Fan Festival. 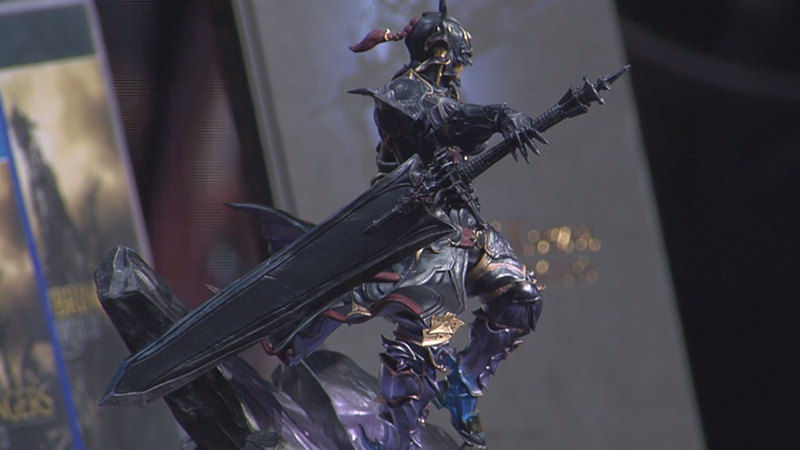 Seen first in the debut teaser trailer for Final Fantasy XIV: Shadowbringers via Thancred, the Gunbreaker is Final Fantasy XIV’s 4th Tank Job. 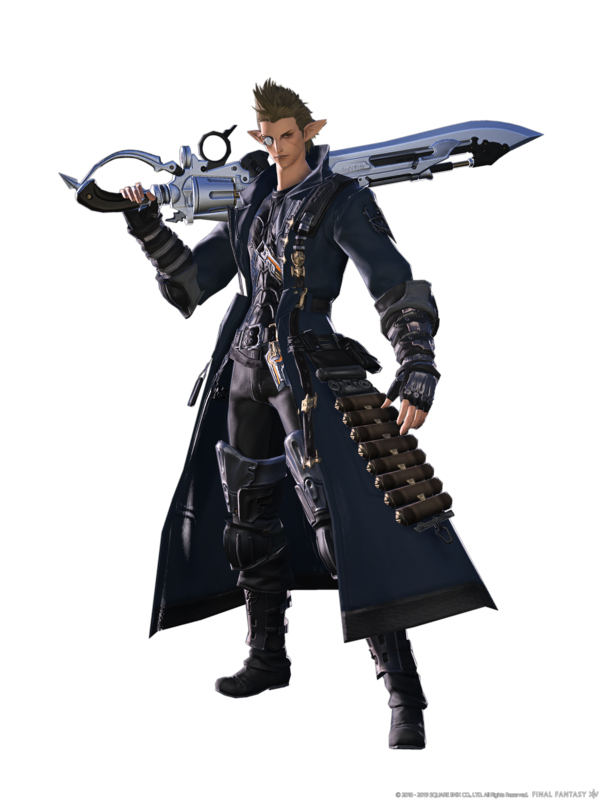 Naoki Yoshida cosplayed this job on stage at the Paris Fan Festival, though his costume used the white coat used by Thancred. 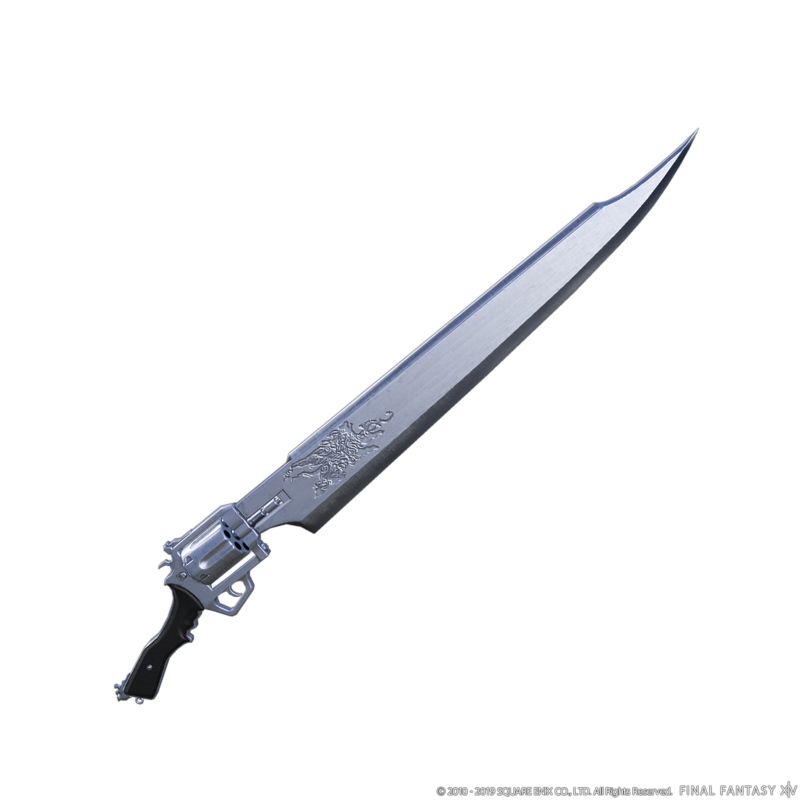 The Gunbreaker will deal slashing damage with a Gunblade. 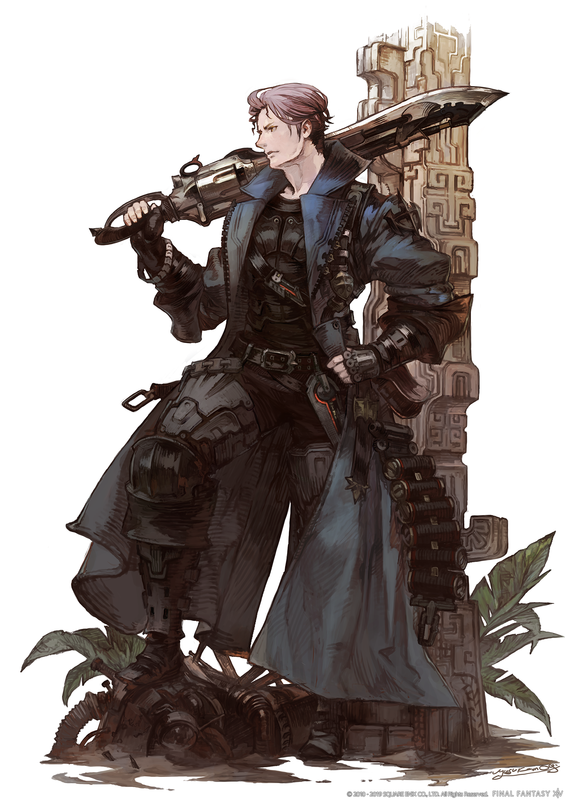 Their attacks, as well as the Gunbreaker’s abilities can be enhanced and executed by expending magicked ammunition. 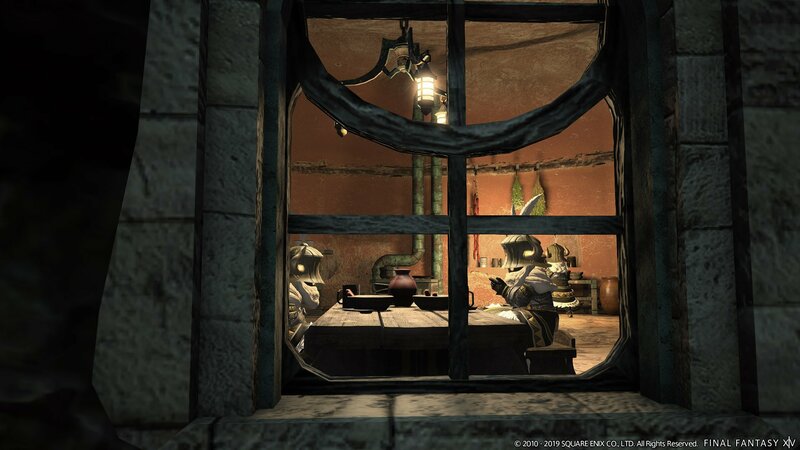 Currently, they’re looking for Gunbreaker to begin at level 60, although this is tentative. 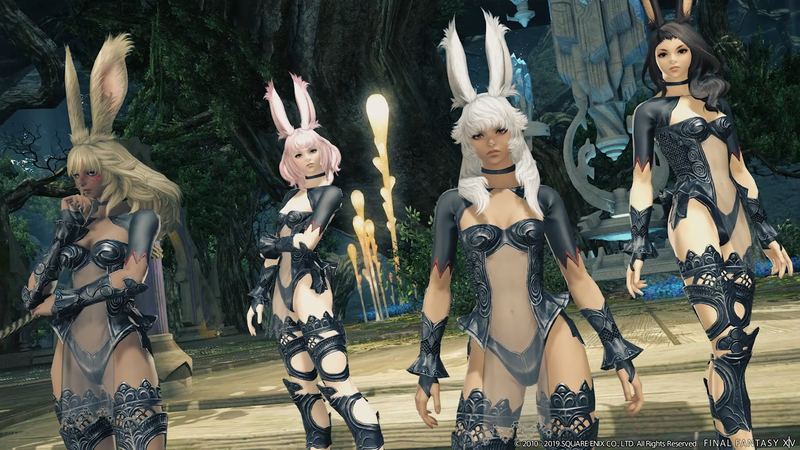 Those looking to unlock the Gunbreaker when the expansion arrives can do so by heading over to Gridania after registering Final Fantasy XIV: Shadowbringers to their accounts and having at least one job at level 60. 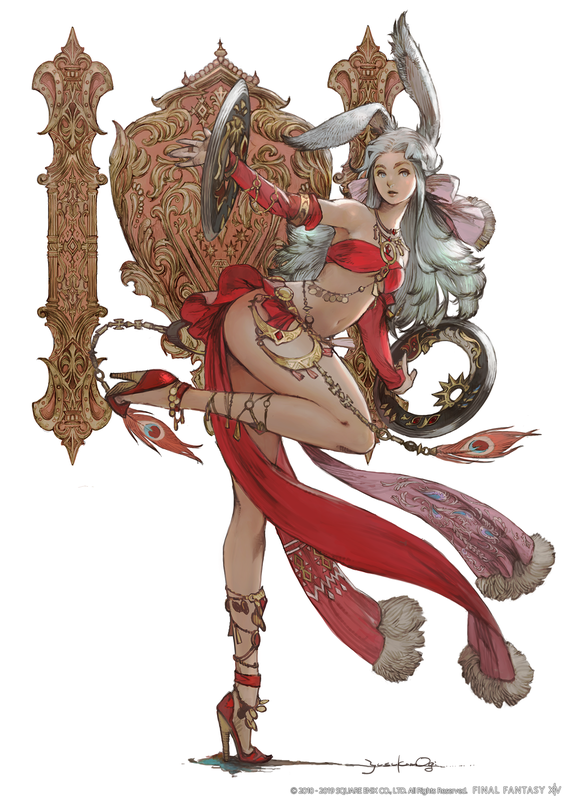 The Dancer will be a Ranged DPS. 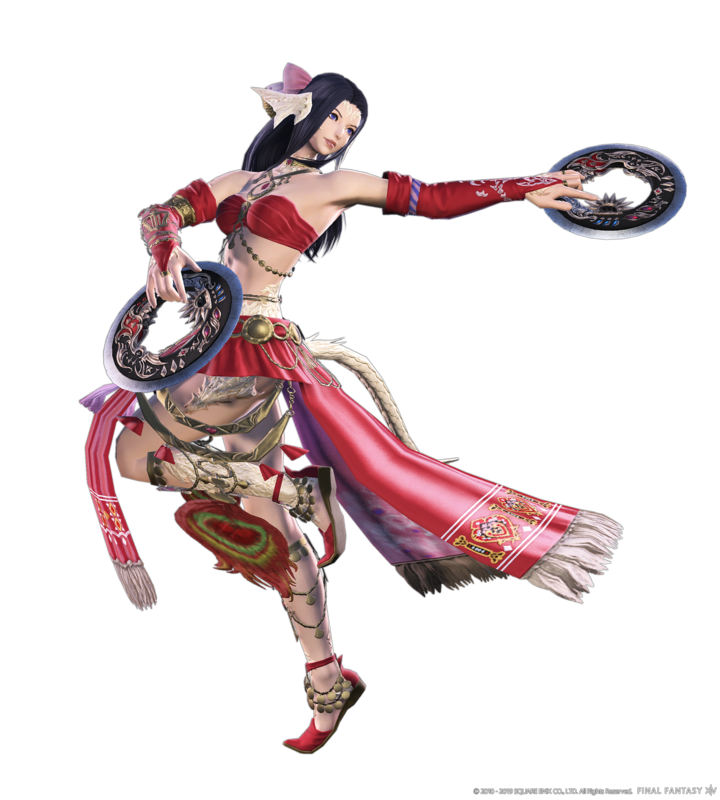 Using throwing weapons, a Dancer can deal damage from afar while performing dances to execute abilities. 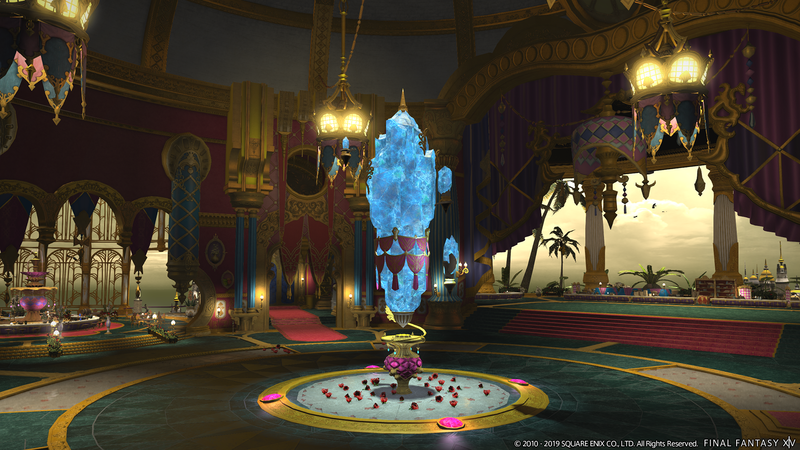 Some dances can enhance party members. 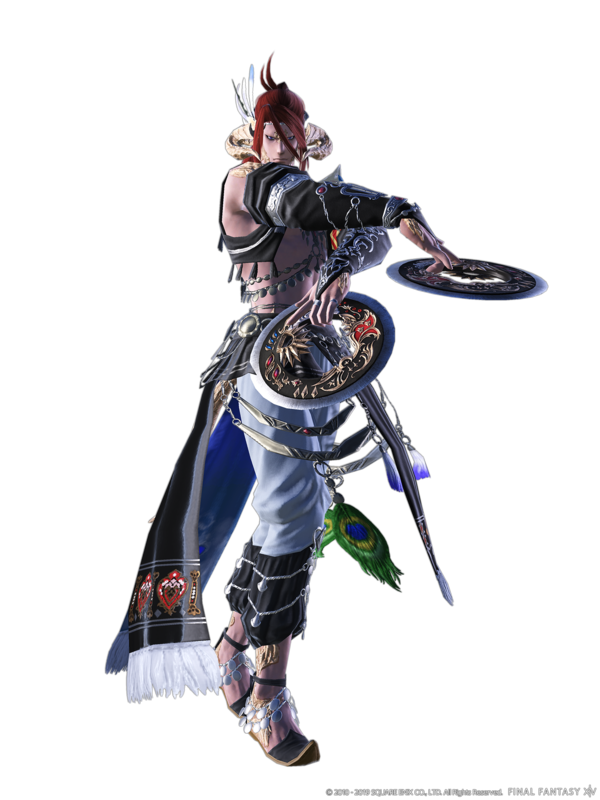 Those wanting to play Dancer will be able to unlock it in Limsa Lominsa and the job will start (tentatively) at level 60. 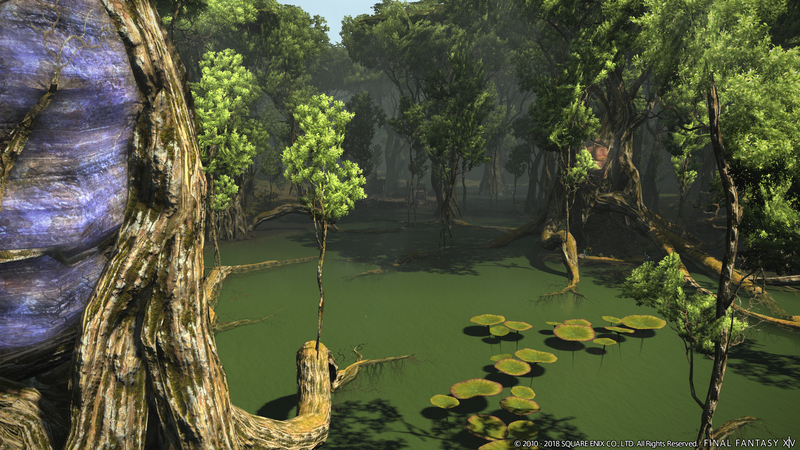 We’ve seen three new areas thus far, each offering landscapes we haven’t really seen yet in Final Fantasy XIV. 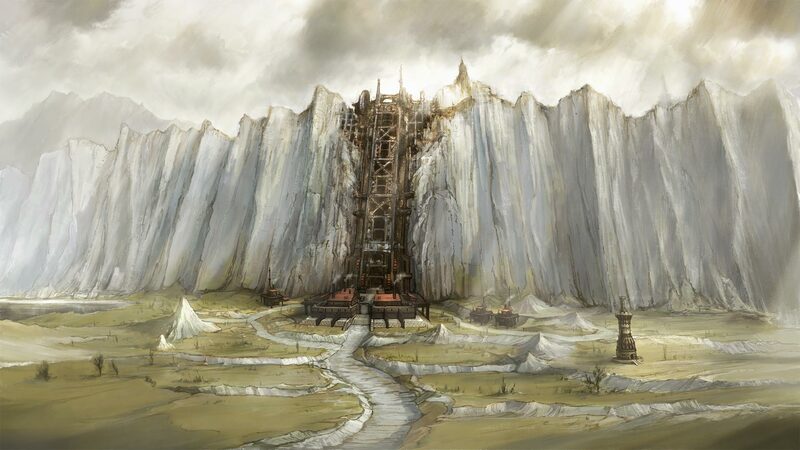 To our knowledge, all of the new areas listed below will be in the Norvrandt region of The First- the only remaining habitable region due to the Flood of Light. 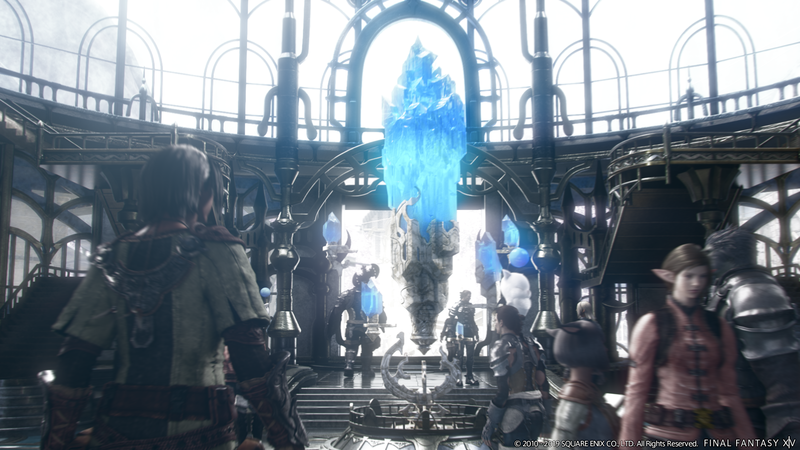 The Crystarium is the hub town built at the base of the Crystal Tower on The First. 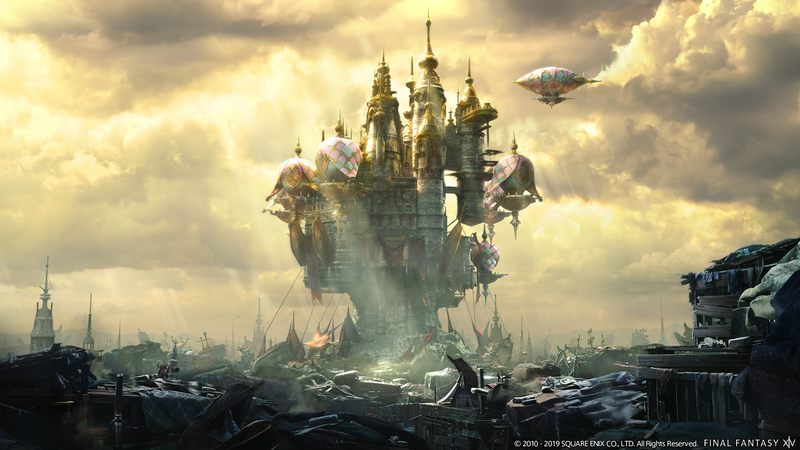 The design of it is based on the Rapture tech demo from 2005 which featured a high tech look of what Square Enix was looking to do with their MMOs. 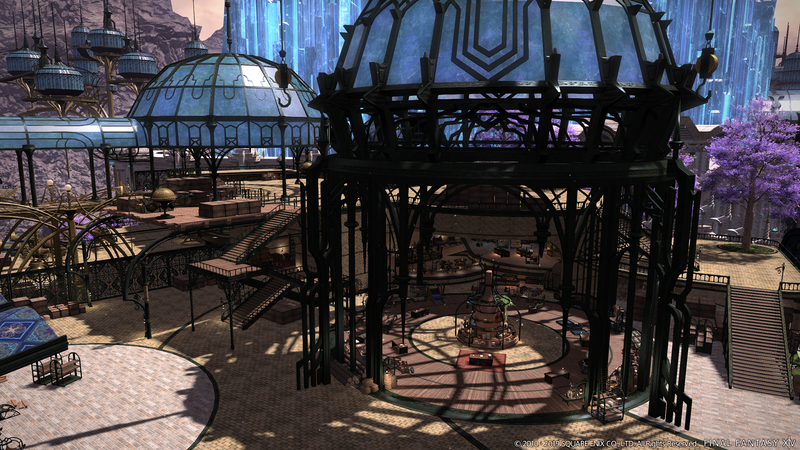 Another city, hinted at being The First’s version of Limsa Lominsa. Its inhabitants are fully aware of the flood of light being a sign of the end and have decided to spend the rest of their lives living luxuriously. 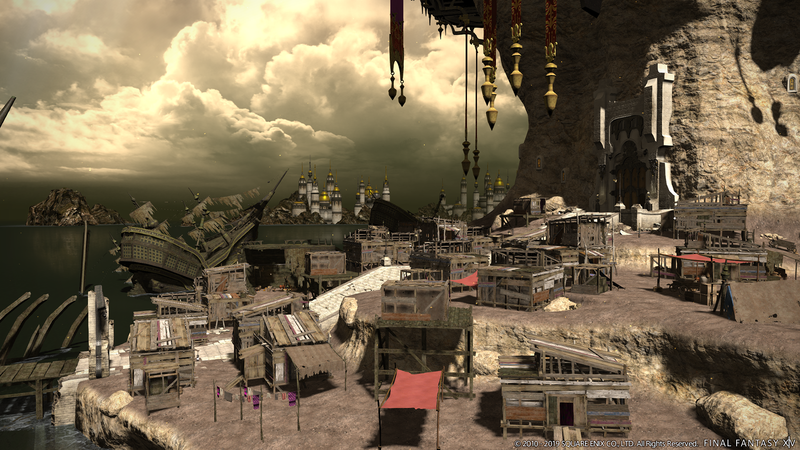 At the base of the city lies a small population filled with those who want to, but haven’t been able to move up into Eulmore. 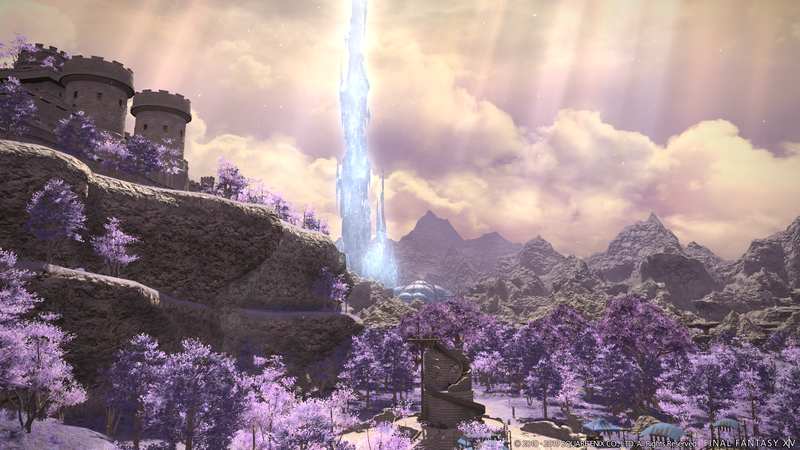 Lakeland is the area adjacent to The Crystarium. Those that live in Lakeland believe in a legend that tells of the Warrior of Darkness coming to save them from the light. 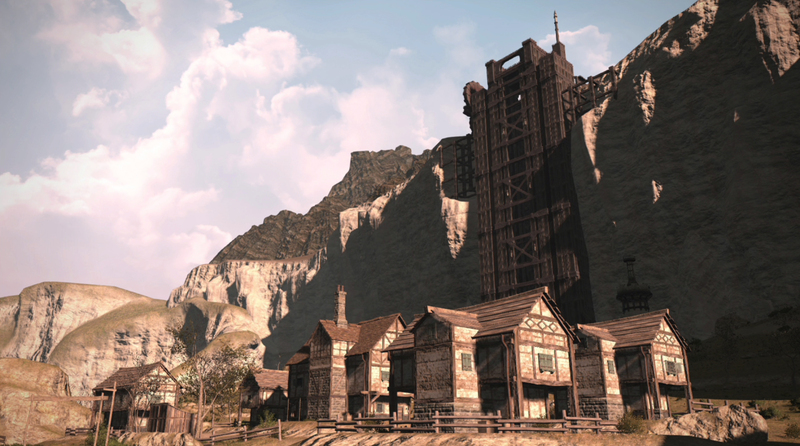 Lakeland is the first area that players will explore after journeying to The First. Not much is known about Amh Araeng. 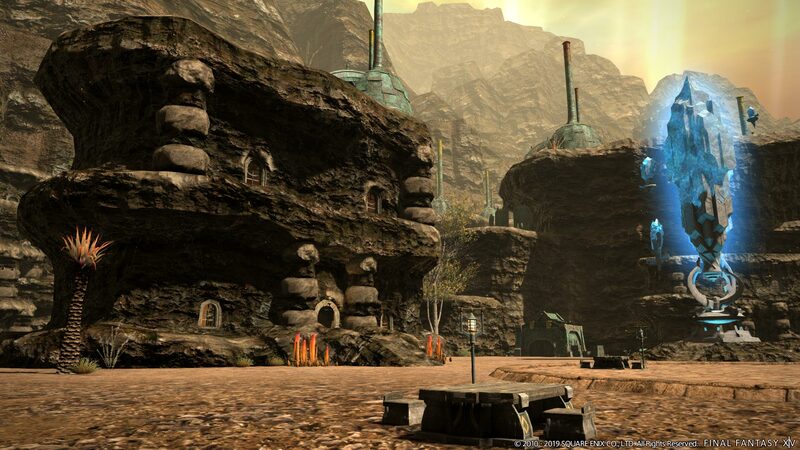 We can tell it’s in a desert-like setting, and we know that the structure in the third image below is itself, slanted. 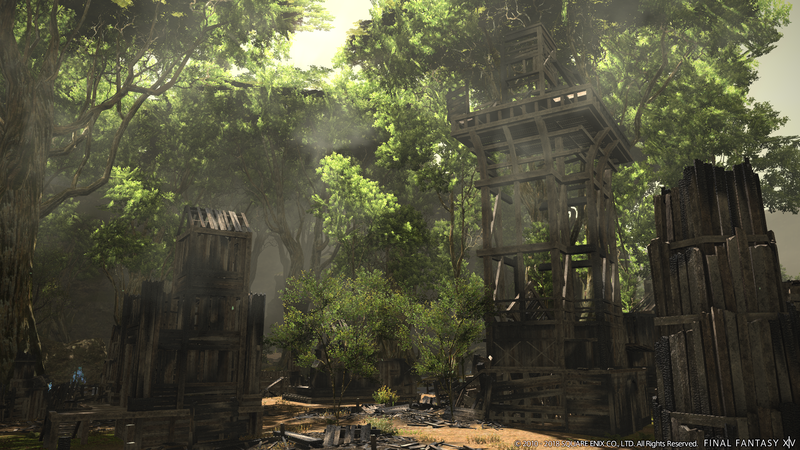 The Rak’tika Greatwood is a wooded area covered by a massive canopy of trees. 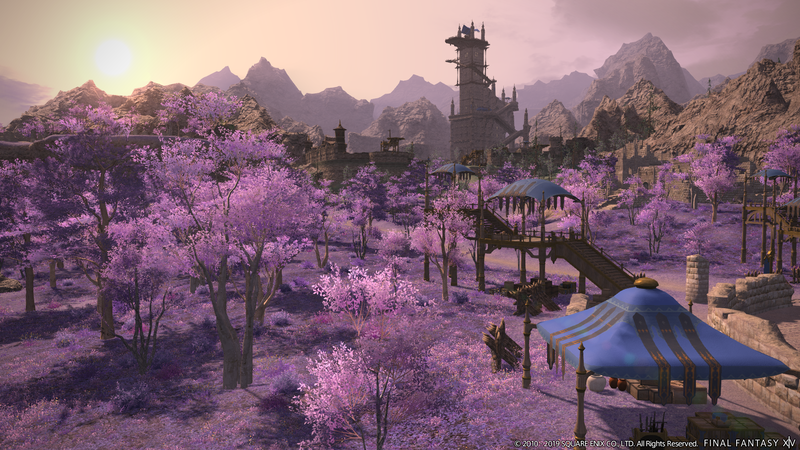 During the Paris Fan Festival Keynote, Naoki Yoshida indicated that the scene with Urianger and Master Matoya takes place here. 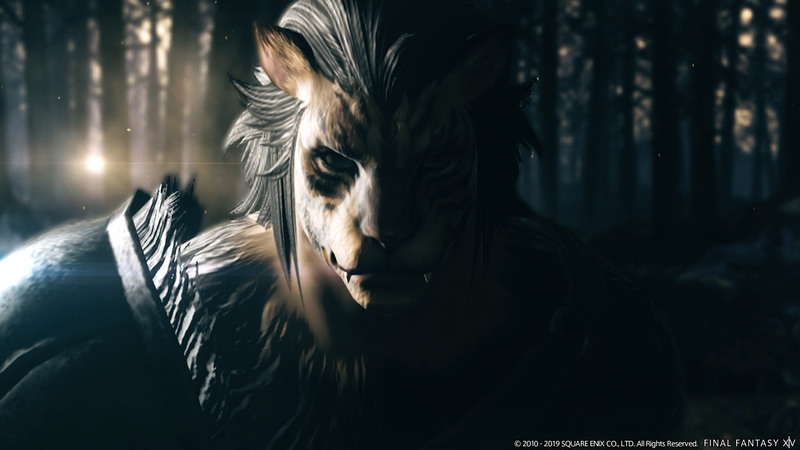 Il Mheg is the realm of the Pixies, one of the new Beastmen races that we’ll encounter in Final Fantasy XIV: Shadowbringers. 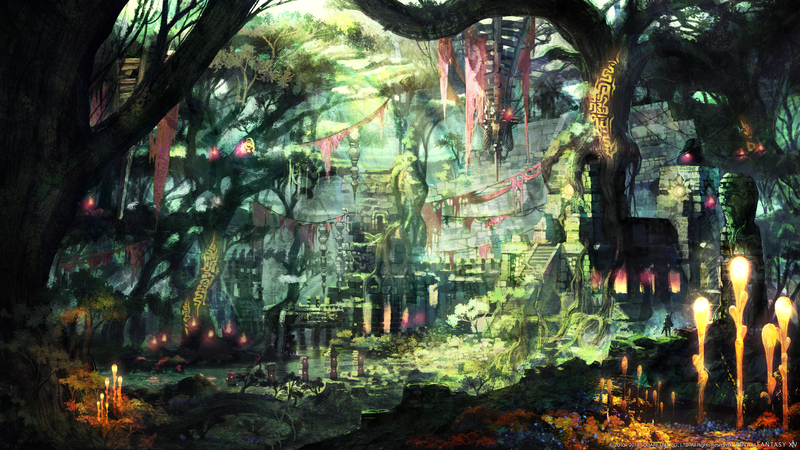 The area and its color pallet give off a very fantasy-like vibe. 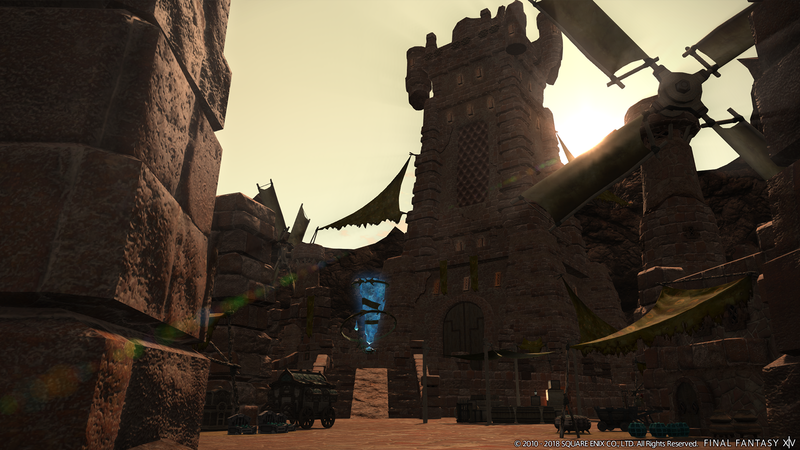 This area was listed briefly on the Steam product page for Final Fantasy XIV: Shadowbringers. 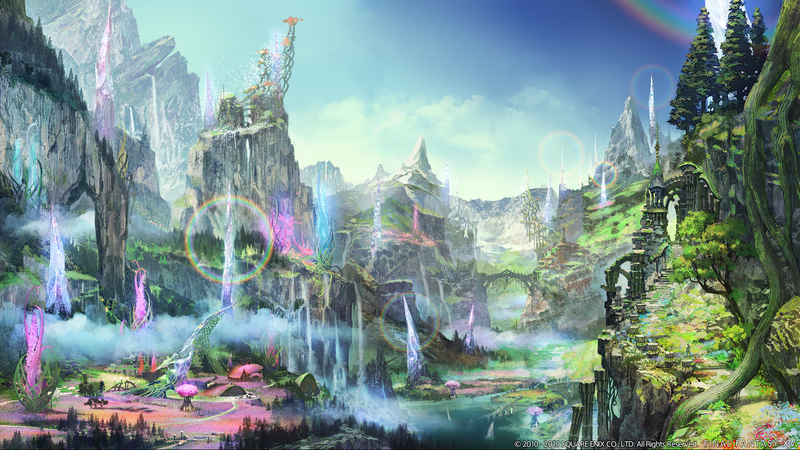 During the Tokyo Fan Festival, we were given a single image of the area with no other information given. 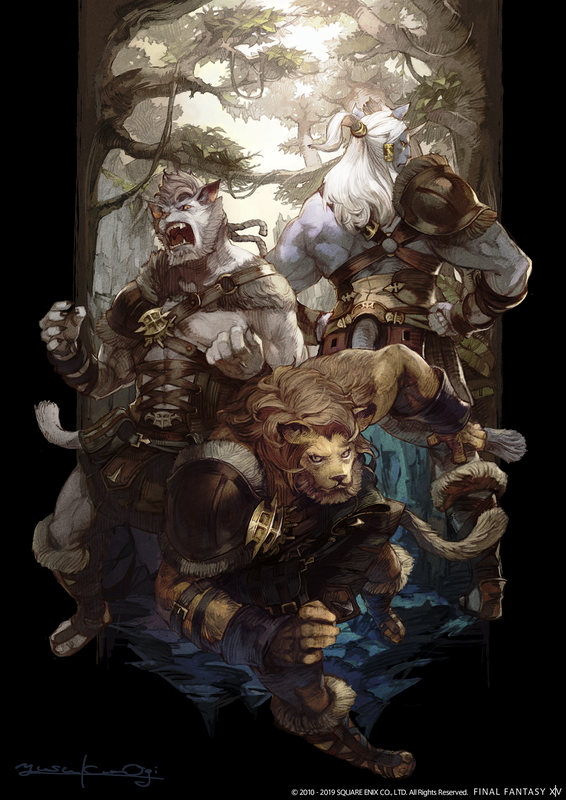 There will be several new Beastmen and Races to interact with in this new expansion including Pixies, Dwarves, and the Nu Mou. 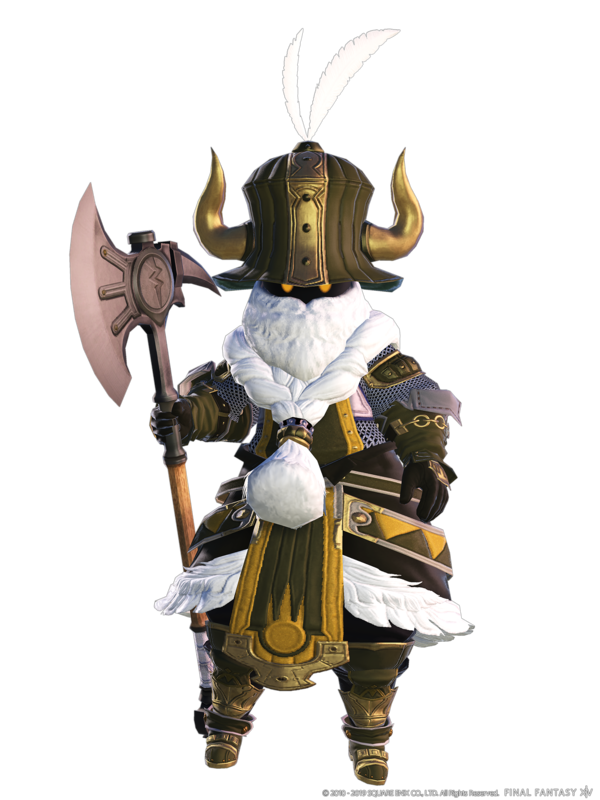 We had our first look at the Nu Mou from the Las Vegas Fan Festival. 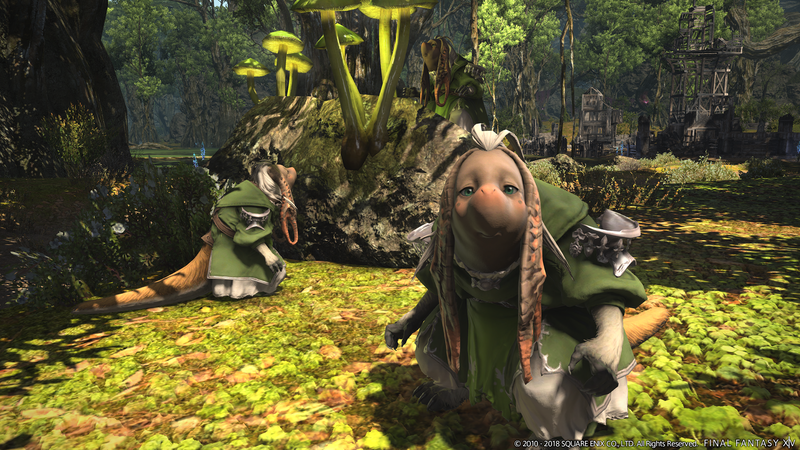 Unfortunately not much else is known at this time aside from the fact that in the screenshot below, they seem to be taking up residence in the Rak’tika Greatwood. 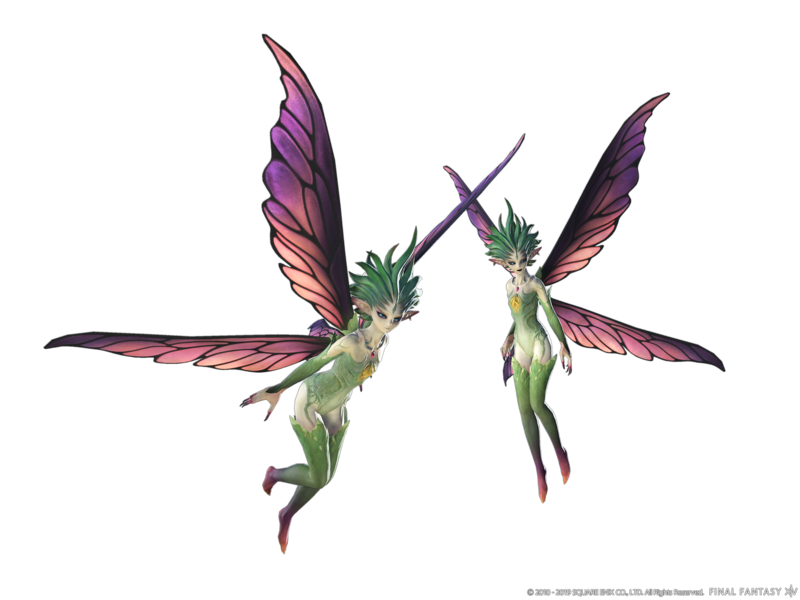 The Pixies that reside in Il Mheg are a race of tricksters that are proficient in magic. 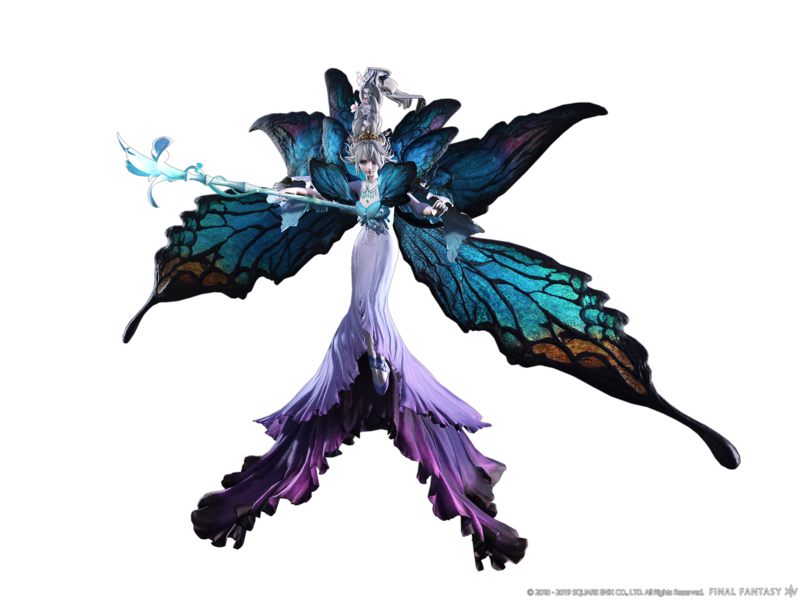 Their Queen is the Primal Titania. 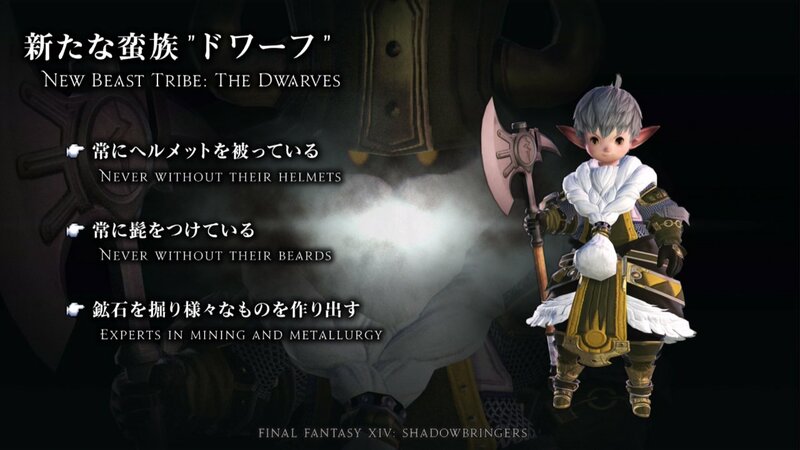 On The First “Dwarves” are actually what we know as Lalafell. 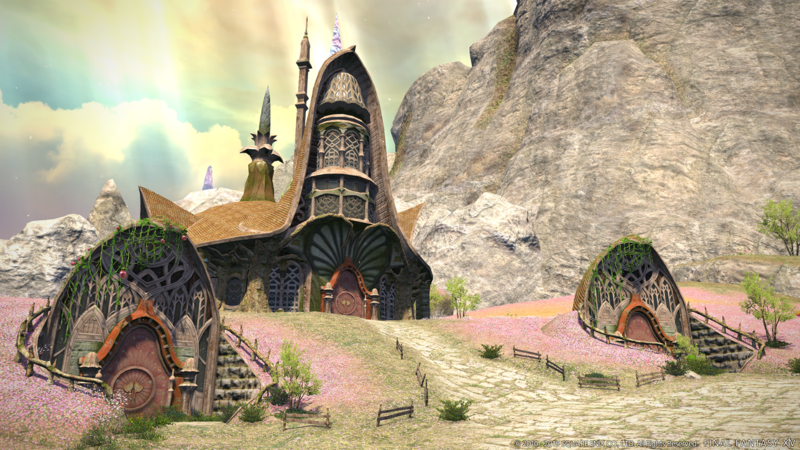 All of their buildings are sized to them which means that… only Dwarves and Lalafells can enter them. 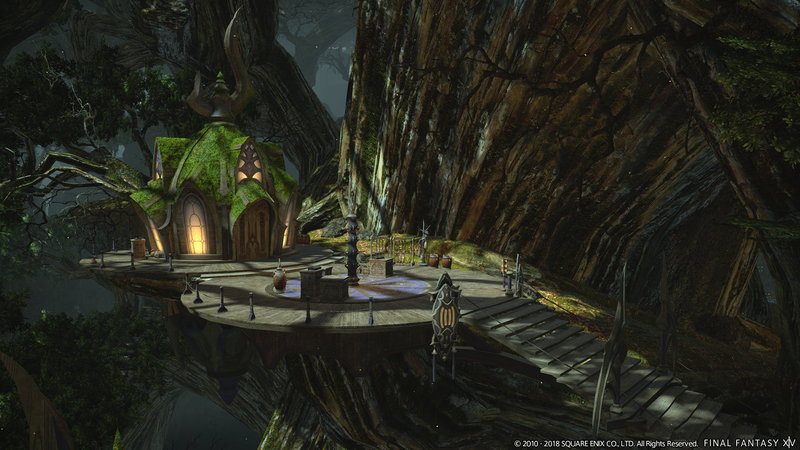 if you’re a larger character, you’ll have to just look in through the window, or use a Fantasia. 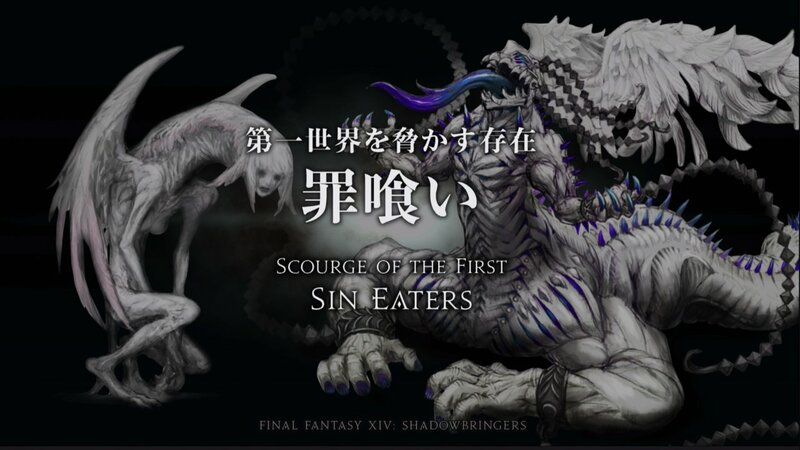 The Sin Eaters are described as the opposite of Voidsent- where the Voidsent hail from The Thirteenth, what we know as The Void. Because The First is falling to light, we have the other side of that. There’s also Innocence. 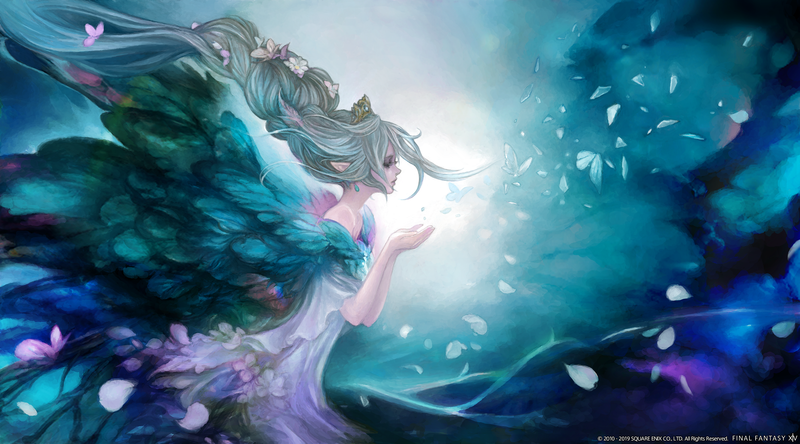 Not much is known other than it seems Innocence could be one of the Trials. They’ll be a very important character. 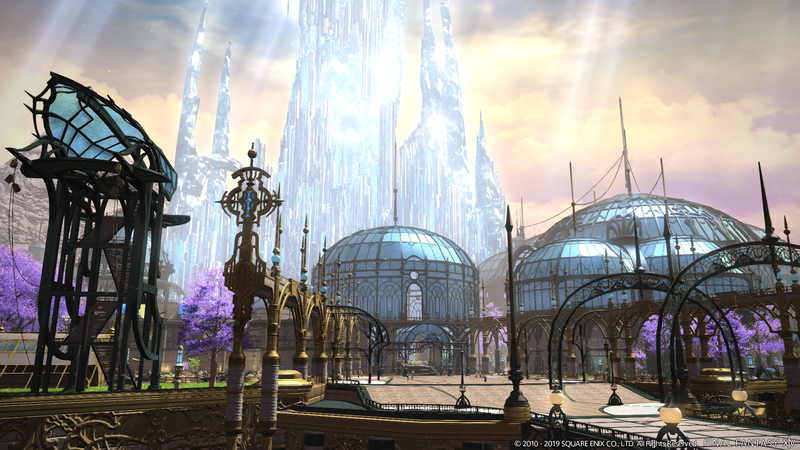 At launch, Final Fantasy XIV: Shadowbringers will have nine new dungeons. 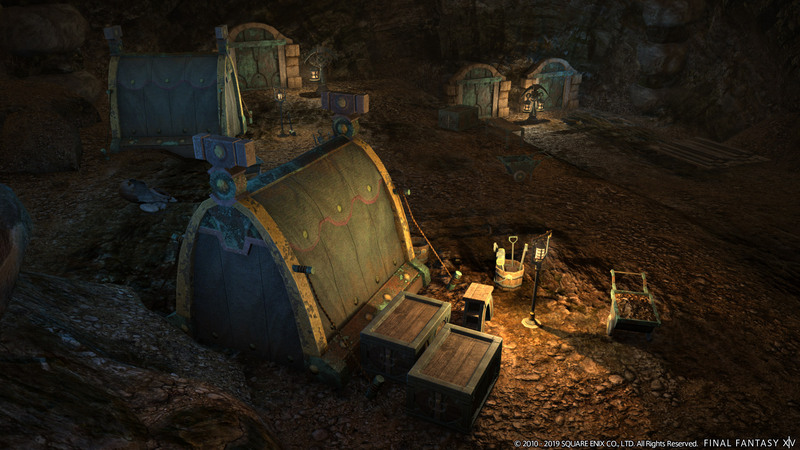 These include leveling and max-level dungeons. 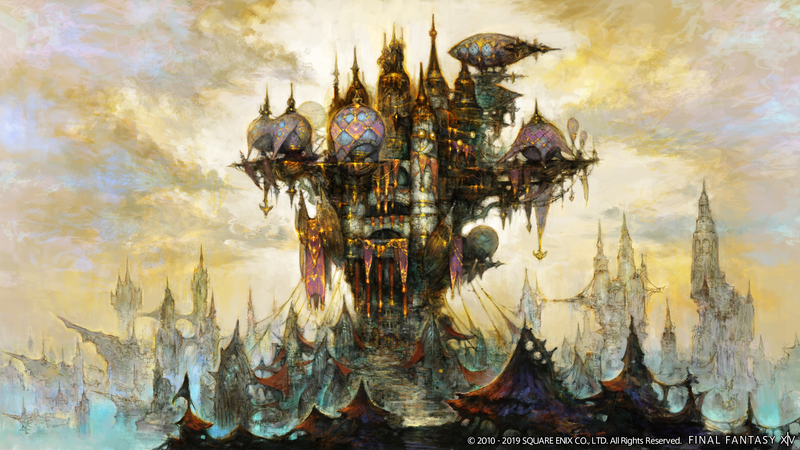 By comparison, both Final Fantasy XIV: Heavensward and Final Fantasy XIV: Stormblood expansions only had eight dungeons at launch. 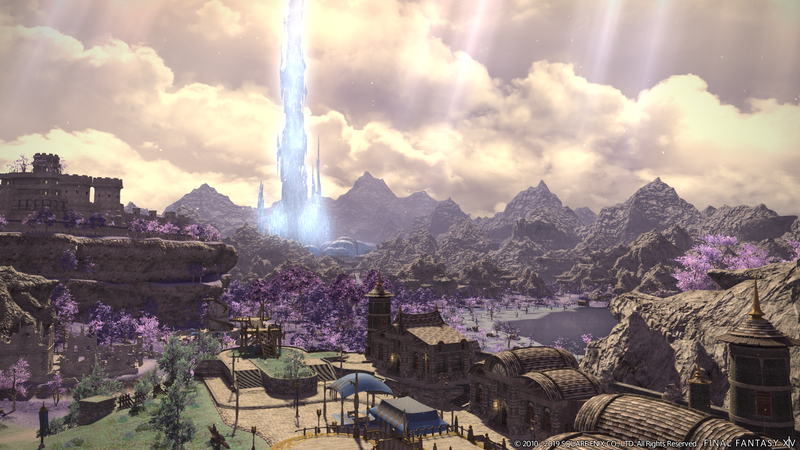 Both the 24-man Alliance Raid and the 8-man Raids for Final Fantasy XIV: Shadowbringers have been revealed to have guest creators. 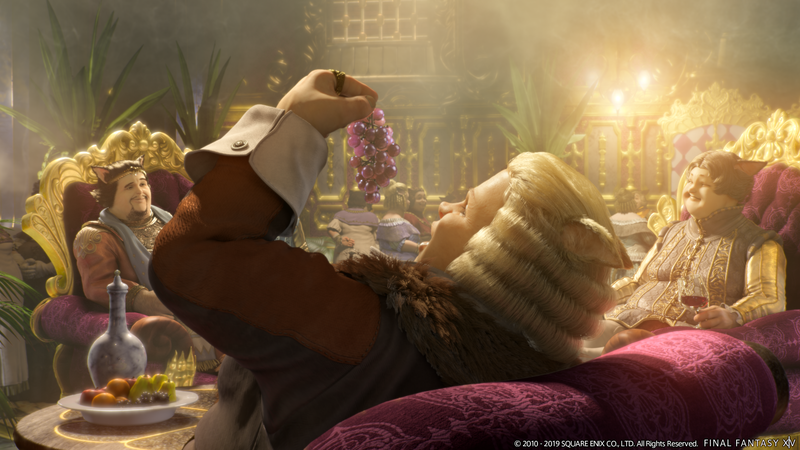 Read on to see the themes of the new Raids. 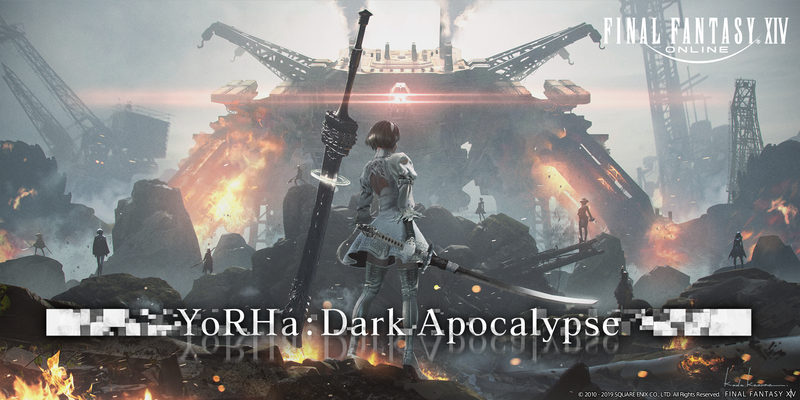 During the Paris Fan Festival it was revealed that the new 24-man Alliance Raid would be the NieR inspired YoRHa: Dark Apocalypse. 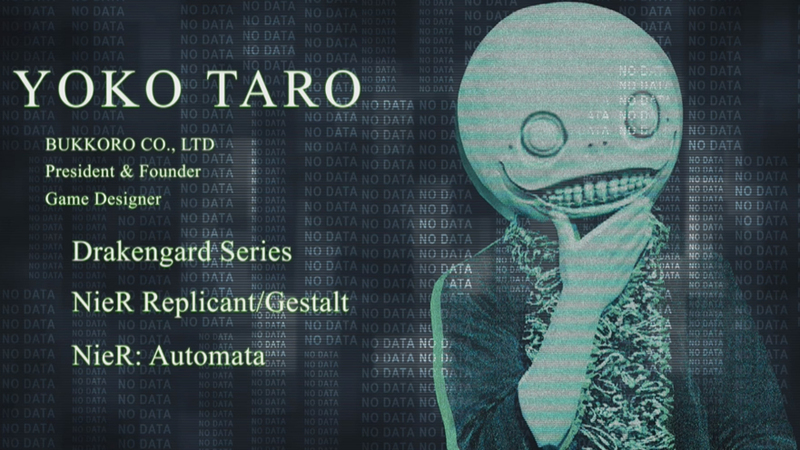 The guest creators for this raid are Yosuke Saito and Yoko Taro. A short video was shown during the event. We’ve queued up the Twitch stream to the appropriate time below. 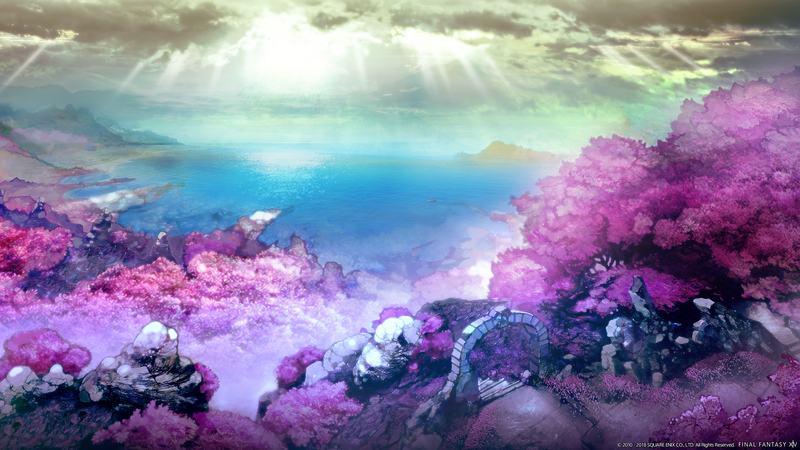 The Eden raid series will have players work to restore the other elements to the light flooded world of The First which sees only daytime in it’s areas. 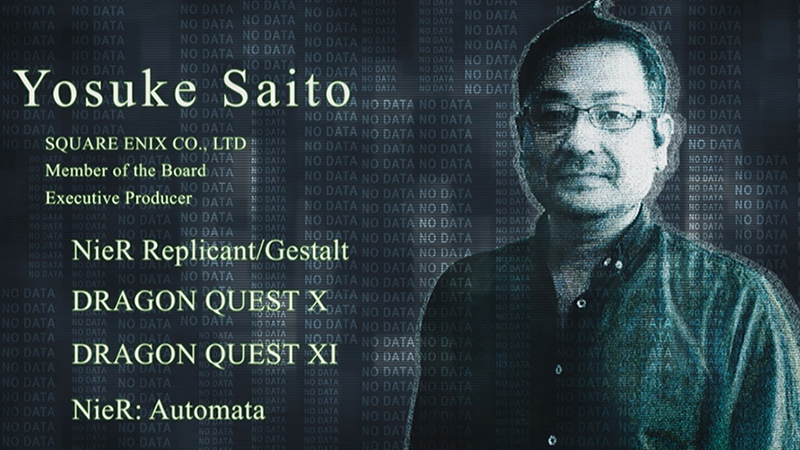 The guest creator for character and boss design is Tetsuya Nomura. 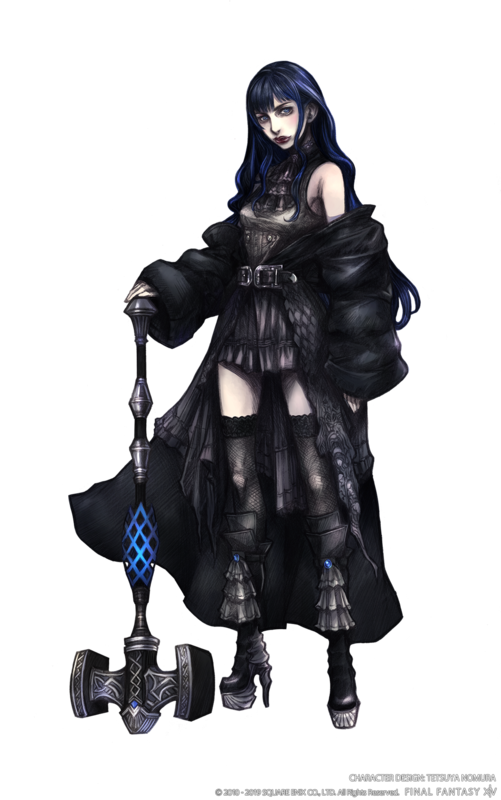 With the announcement of his involvement, they revealed an image of a new character that will be a part of the story of Eden: Gaia. 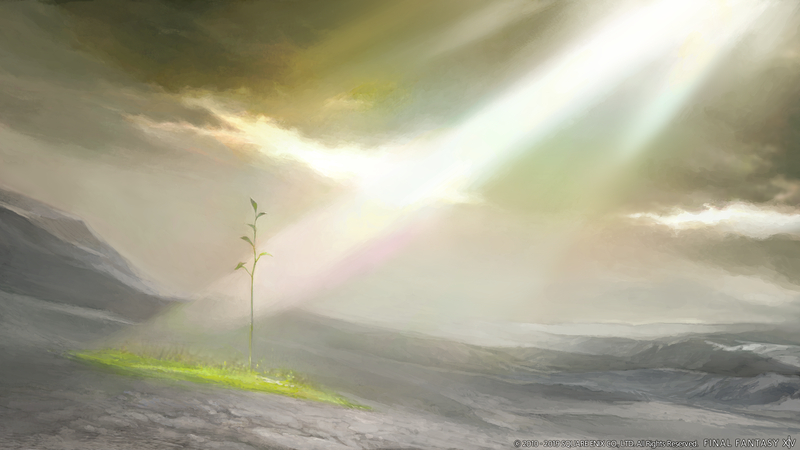 Those who play Disciples of the Land and Disciples of the Hand will be able to participate in this new content which sees them helping restore the Holy See of Ishgard to its former glory. 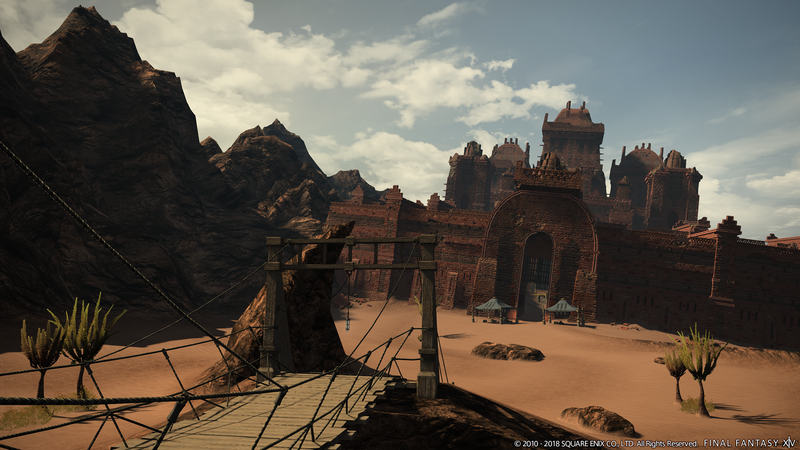 This seems like it will be a even more involved version of the Doman Enclave content from Final Fantasy XIV: Stormblood. 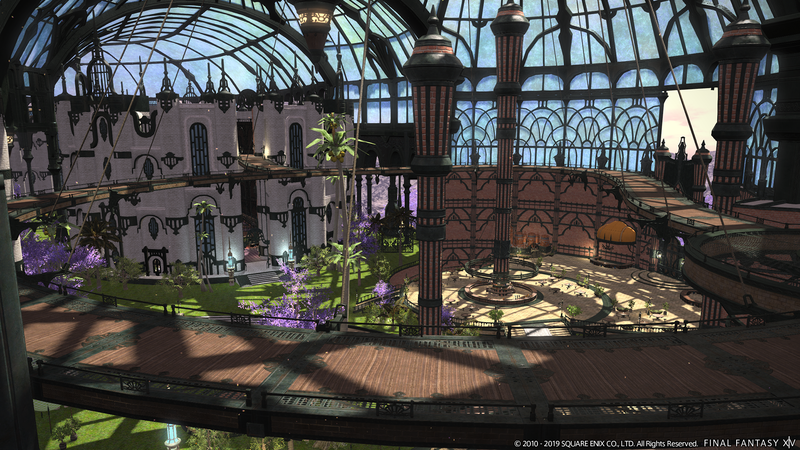 It was suggested that maybe sometime after this content, players might finally see the addition of housing wards in Ishgard. 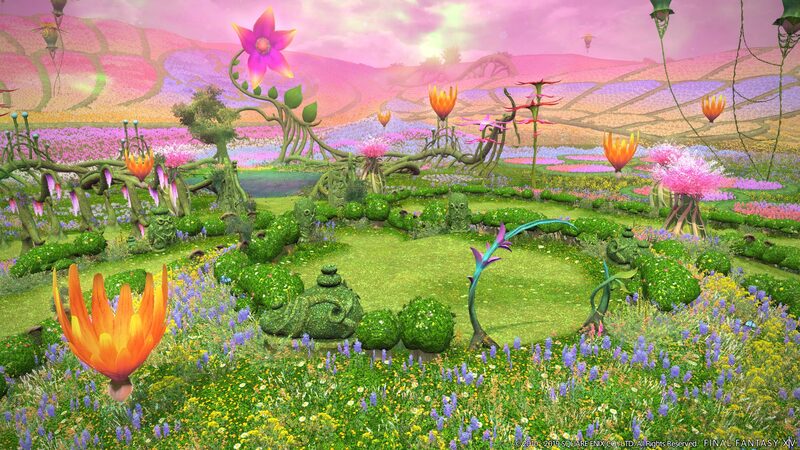 The idea of player run farms was briefly mentioned, with a joke that “Farmer” is not one of the new jobs. 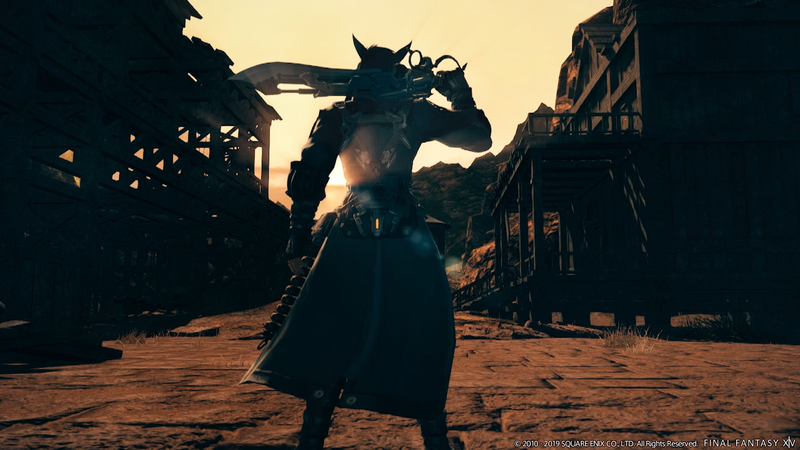 A feature more common in single player games than MMOs, New Game+ will allow players to replay through old content such as Main Scenario Quests (starting at 2.0) and Job Quests as your current level. 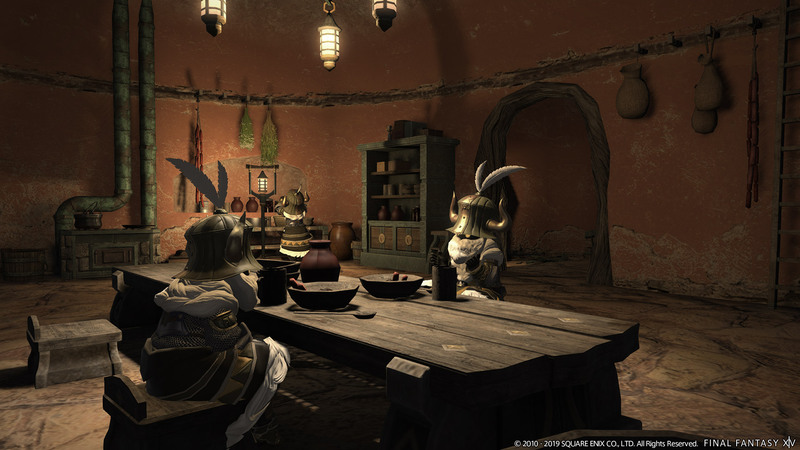 Sharing the same name as the system in Final Fantasy XI, the Final Fantasy XIV Trust system will allow players to select certain NPCs to aid them when completing Final Fantasy XIV: Shadowbringers dungeons, eliminating the need for players to wait for queues in order to progress through Main Scenario Quests. 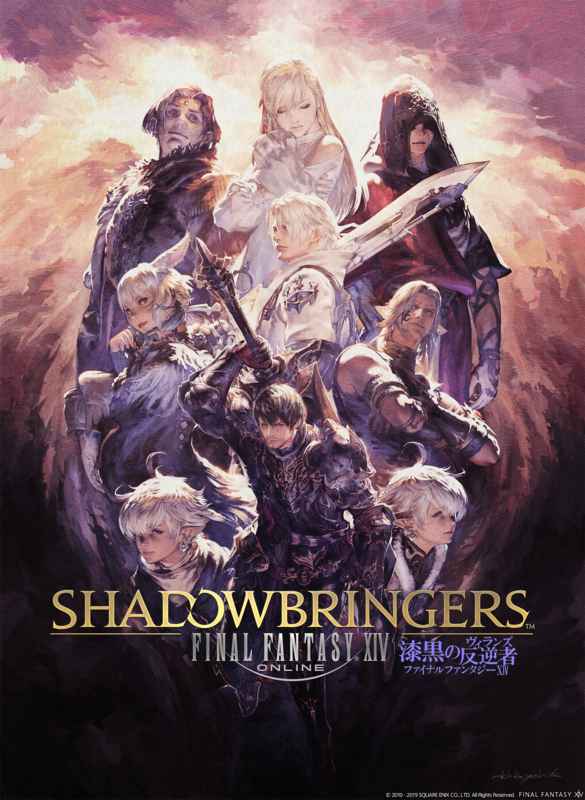 The image above, released in Paris, shows Thancred (Gunbreaker), Urianger (Astrologian), and Matoya/Y’shtola (Black Mage) as possible Trusts that we’ll be able to use. 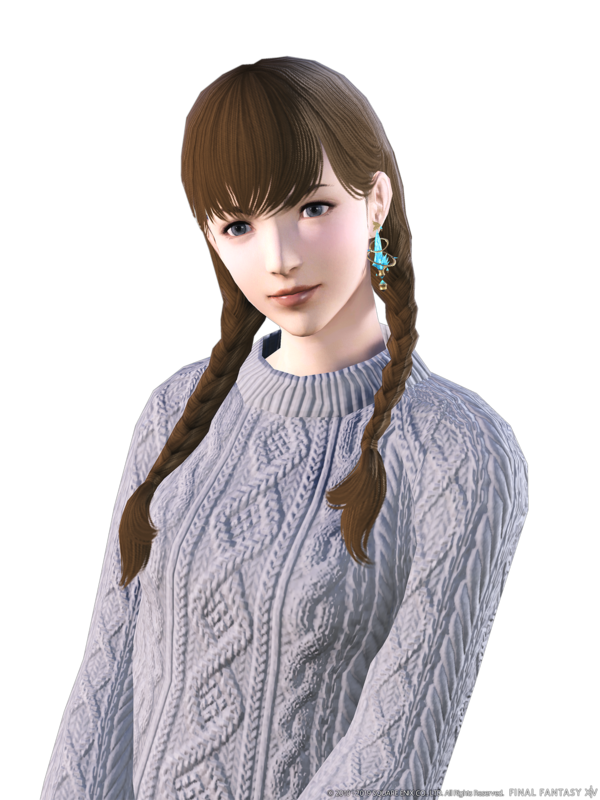 The Minfilia that we see in the trailer will also be available as a Trust NPC, however her job remains a secret for now. 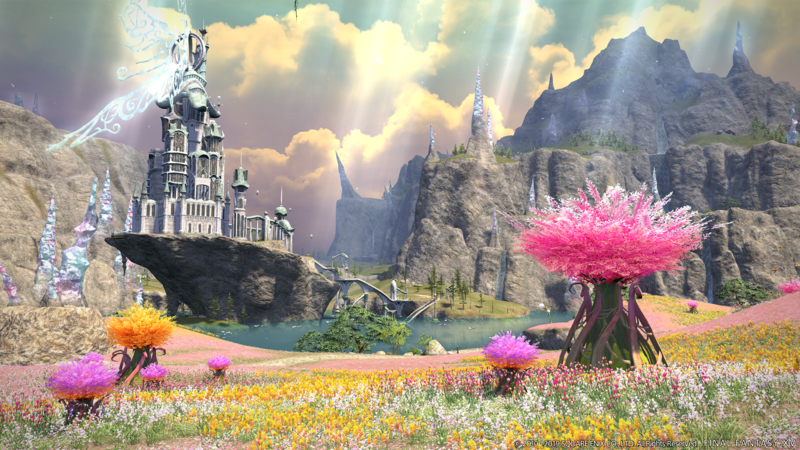 You can also listen to our Final Fantasy XIV Podcast Aetheryte Radio to keep up to date with the latest news and information on Final Fantasy XIV: Shadowbringers. Our Fan Fest related episodes are located below for your convenience.